Atmosphere isn’t something you create. A place either has the right mood and feel or it doesn’t. Three evenings after opening its doors, Bocca had packed tables, and atmosphere in large doses. Weeks later, it’s still my go-to place if two or three of us are after authentic pizza and sharing small, tasty bites. But I would caution that if there’s more than four of you, it’s probably better to find somewhere with a bigger dining space. The team behind this Italian-inspired eatery put Woodstock’s Burrata restaurant on the map. Sommelier Neil Grant really loves food, and head chef Annemarie Steenkamp’s skill lies in melding deceptively simple flavours. The Bocca team converted a parking garage into a modern split-level inner-city eating space. Deck tables outside suit sundowners and nibbles, with windows that fold away on windless evenings (but when the southeaster sets in it’s unpleasant). The industrial feel is softened with light wooden beams. Cosy upstairs booths and tables suit larger groups, but the best seats are the few spots at communal counters overlooking the pizza oven activity and diners on the lower floor. Bocca is Italian for mouth, and they do a good job of filling those. There’s casualness in menu groupings under Spoons, Fingers or Knives & Forks – small dishes designed for sharing. 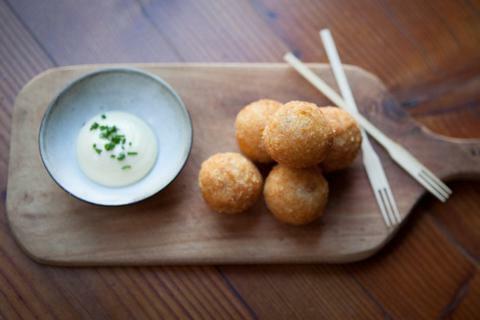 Warm arancini balls kick that off nicely. Spinach and artichoke adds green zing to al dente risotto with vodka-doused stracciatelle mozzarella. Lamb meatballs wallow in unusual marinara seafood-tomato sauce. Simple tuna crudo artfully combines raw fish, kale, white anchovies, olives and plump oven-roasted tomatoes. The pork ribs with a hint of chilli and basil are a must, especially ordered with fabulously thin zucchini fries. 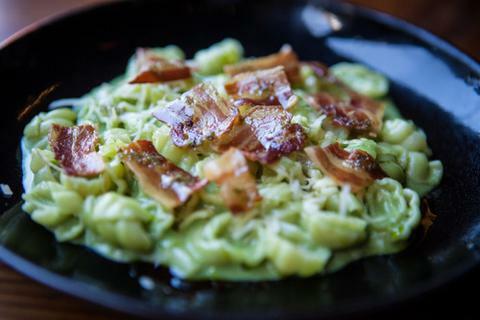 Orecchiette pasta dreamily combines creamy peas and ricotta with crisped pancetta bits. Wine is no afterthought, with interesting and unusual glasses at affordable prices. 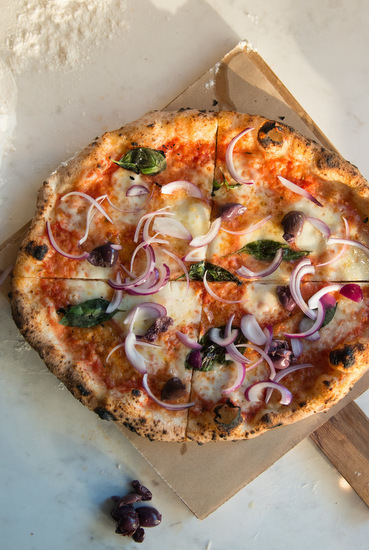 I enjoy a simple, uncluttered pizza, and am willing to stick my neck out that the quality ingredients and wood-fired charring makes Bocca’s margherita rival some of the best in Italy. But if toppings are your thing, Viola e Verde is something different, its tomato base covered with mozzarella, Swiss chard, red onion, capers and Provolone. I’ve never made it to the Big Plates (main courses) section yet, as the shared plates have more than satisfied. But should you want to venture that far, there’s more to tempt. - Only Italian 00 flour is used for pizza dough that ferments over 24 hours. - For the perfect semi-charred crust with the right amount of chewiness, Bocca’s Naples oven heats to 480℃, baking a pizza in only 90 seconds. - Any Pizza Rosso (pizza blanco toppings are also available) is smeared with a sauce made of whole Italian tomatoes.